* Jesse James Comics (10620 N. 43rd. Ave. #1, Glendale; 602.993.0392) NEW! * The Comic Bug (1807 Manhattan Beach Blvd., Manhattan Beach; 310.372.6704) NEW! 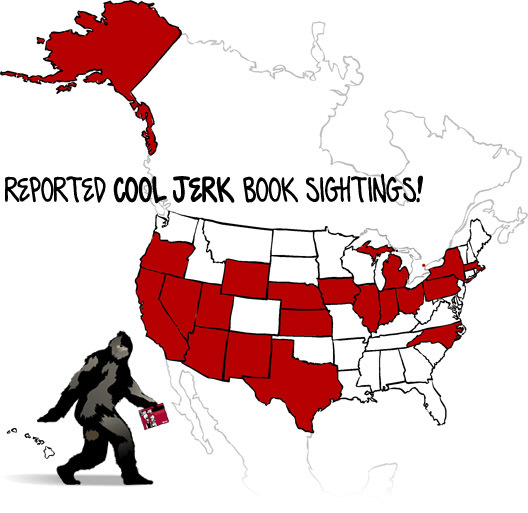 Do you have a favorite neighborhood comic shop that should carry Cool Jerk merch? Send me their info and I’ll do what I can to get my books there!